Christmas can be a very stressful time, worrying about if you have bought enough gifts for everyone on your list amongst other stresses. However, for anyone who is unfortunate enough to be homeless or in troubling circumstances, Christmas is truly difficult. This is your chance to keep it local and help those around us who need support in your area. The People’s Kitchen has been feeding the homeless and vulnerable of Newcastle for 30 years. 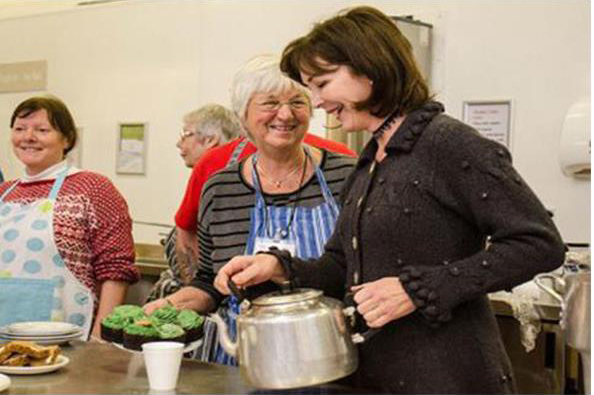 Run entirely by volunteers, the kitchen provide hot meals six days of the week either from their base in Bath Lane in Newcastle or out on the streets. On Christmas Day the kitchen will be open offering filling three course meals to those in need. Just £5 would provide a meal to a homeless or vulnerable person which is likely to be their greatest gift this Christmas. Stay tuned to our social media on Facebook and Twitter after Christmas to see images of what your £5 got. Feel free to also share this offer on your social media to help those in need in our area. NEoffers.co.uk are continuing our partnership with the Peoples’ Kitchen which is now in its fourth year where they have raised collectively over £80,000 and following a record breaking amount last winter with your generous support.